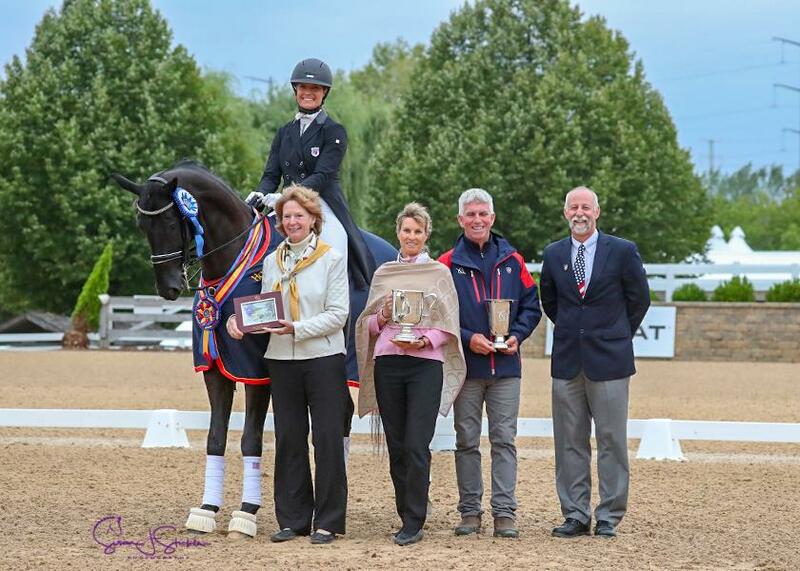 Wayne, Ill. – Ellanor Boehning and Kabam, Camille Molten and Wildwych Bamboozle, and Callie Jones and Don Philippo earned the first three national champion titles of the 2018 U.S. Dressage Festival of Champions. One division continued their quest for top honors, while three divisions performed their first tests of the competition. 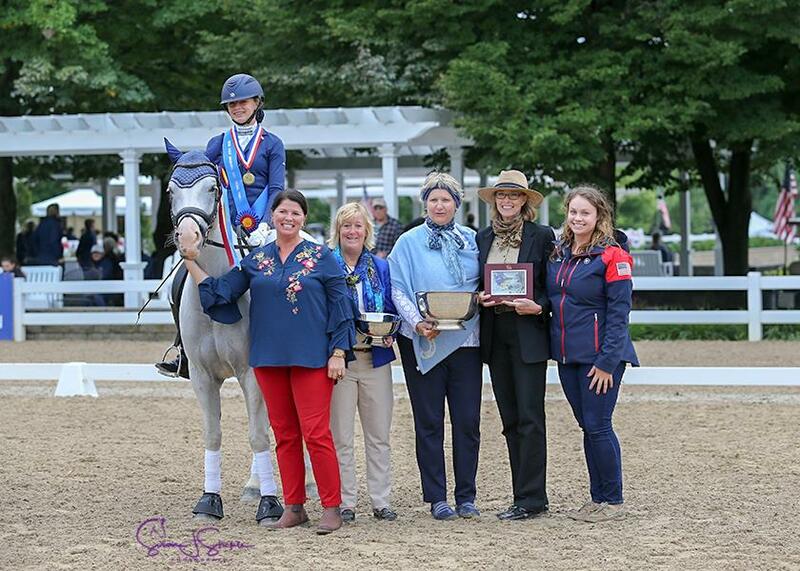 Ellanor Boehning and Kabam firmly held on to their lead from Thursday to claim top honors in the USEF Pony Rider Dressage National Championship. Twelve-year-old Boehning (San Diego, Calif.) and the 15 year-old German Riding Pony gelding she owns with Ann Boehning showed off their four-year partnership with a solid test, winning the FEI Pony Rider Individual Test with a score of 68.468%. Fourteen-year-old Abby Fodor (Bloomsbury, N.J.) and Slip and Slide, Marie Fodor’s Quarter Horse/Haflinger cross gelding, placed second, and 15-year-old Jordan Osborne (Kennett Square, Pa.) and Cinderella, her 11-year-old German Riding Pony mare, placed third. Craig Stanley (Madera, Calif.) and Habanero CWS (Idocus x Caliente DG) continued to impress the judges with their development. As the champions in the 2016 USEF Young Horse Four-Year-Old division, he and his KWPN gelding earned a score of 8.98 in the USEF Six-Year-Old Preliminary Test. The combination edged out Cesar Parra (White House Station, N.J.) and Sir Beckmann (Sir Donnerhall x Wichita), his Hanoverian gelding, with Angela Jackson (Henderson, Ky.) and Sandeman (Sir Donnerhall x Flora), Julie Cook’s Hanoverian gelding, placing third. Emma Asher dominated the FEI Junior Team Test by clinching the top two places in the class with Traneenggaards Akondo and Don Fredo HD, respectively. 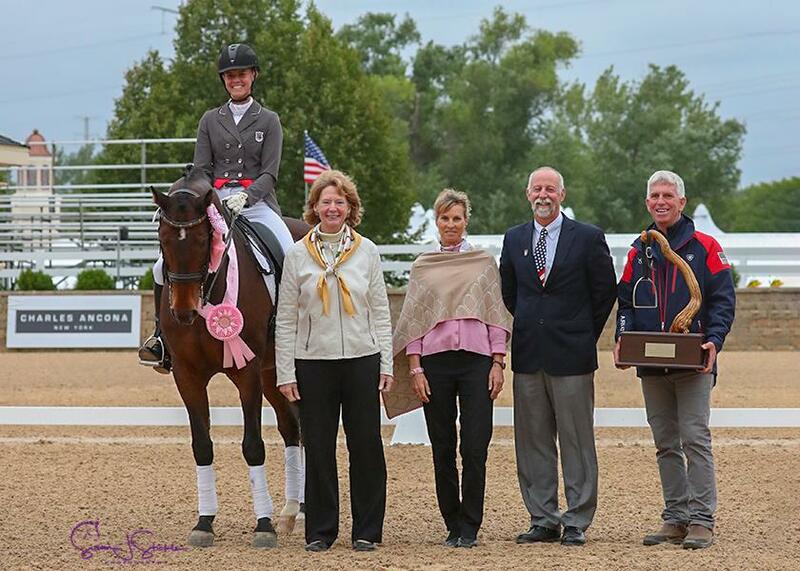 Asher (Greenwood Village, Colo.) and Traneenggaards Akondo, Seeley Equestrian Ventures’ 16-year-old Danish Warmblood gelding, were the first pair to go in the class and captured the lead from the start, winning with a score of 70.859%. Behind Asher and her mounts were Melanie Doughty (Cocoa Beach, Fla.) and Fascinata, a 10-year-old Rheinlander mare, in third place. Following a stand-out performance in Thursday’s USEF Five-Year-Old Preliminary Test, Alice Tarjan (Oldwick, N.J.) continued with a strong performance in the FEI Intermediate II Test with Candescent. 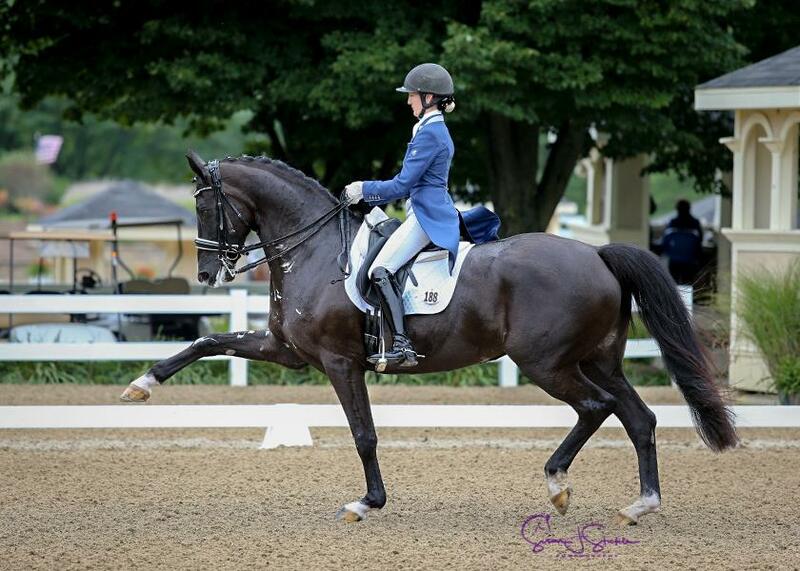 She and her eight-year-old Hanoverian mare currently lead the Markel/USEF Developing Horse Grand Prix Dressage National Championship with a score of 69.902%. Dawn White-O’Connor (Cardiff, Calif.) and Bailarino, Four Winds Farm’s 10-year-old Oldenburg gelding, placed second, followed by Emily Miles (Paola, Kan.) and Floretienne, Leslie Waterman’s nine-year-old Oldenburg gelding. Charlotte Jorst and Kastel’s Nintendo had a respectable test to win the FEI Grand Prix Special with a score of 68.809%. While there were a few bobbles in the test, Jorst (Reno, Nev.) was happy with Kastel Denmark’s 15-year-old Dutch Warmblood stallion. 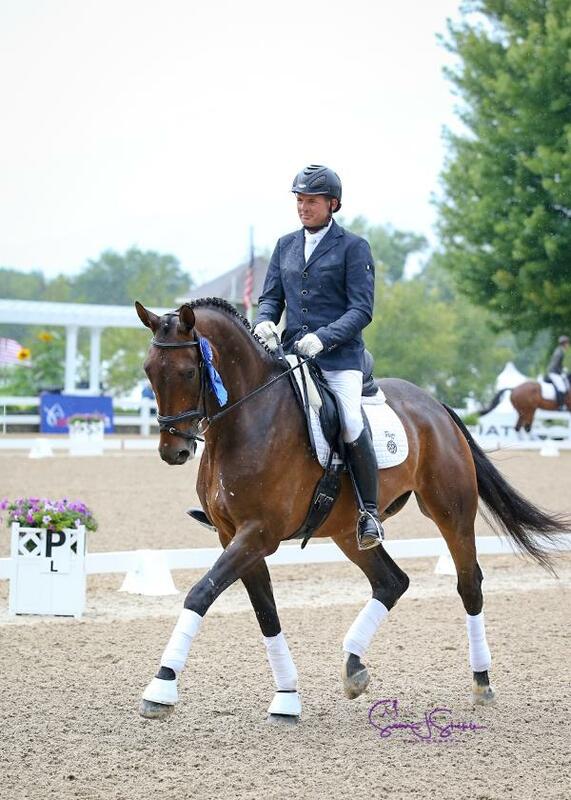 The pair leads the USEF Grand Prix Dressage National Championship heading into Sunday’s FEI Grand Prix Freestyle. Jennifer Schrader-Williams (Yelma, Wash.) and Millione, Millione Partners LLC’s 15-year-old Danish gelding, in second, and Nick Wagman (San Diego, Calif.) and Don John, Beverly Gepfer’s 10-year-old KWPN gelding, placed third. In a one-two repeat from last year, Camille Molten (Mount Pleasant, S.C.) and Kasey Denny (Hutto, Texas) returned to the winner’s circle, repeating as the USEF Dressage Seat Medal Finals 13 & Under champion and reserve champion, respectively. In an extremely close equitation test, Molten and Wildwych Bamboozle, Deborah Stanitski’s 11-year-old Connemara gelding bred by Mary Prewitt, edged out Denny and Feyock, Amy Denny’s 21-year-old Westphalian gelding, with a score of 91.000%. Reece O’Keefe and Arianna, her own 15-year-old mare of unknown breeding, placed third. 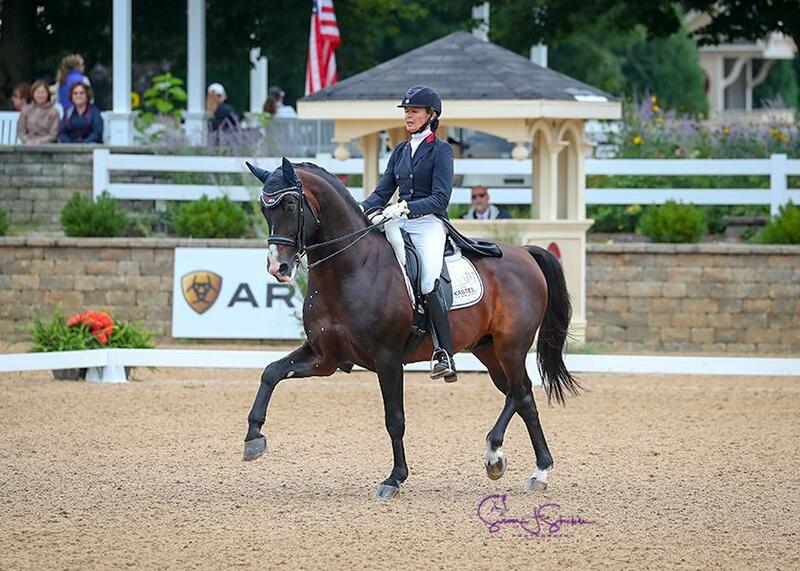 Callie Jones and Don Philippo claimed top honors in the FEI Yong Rider Dressage National Championship. 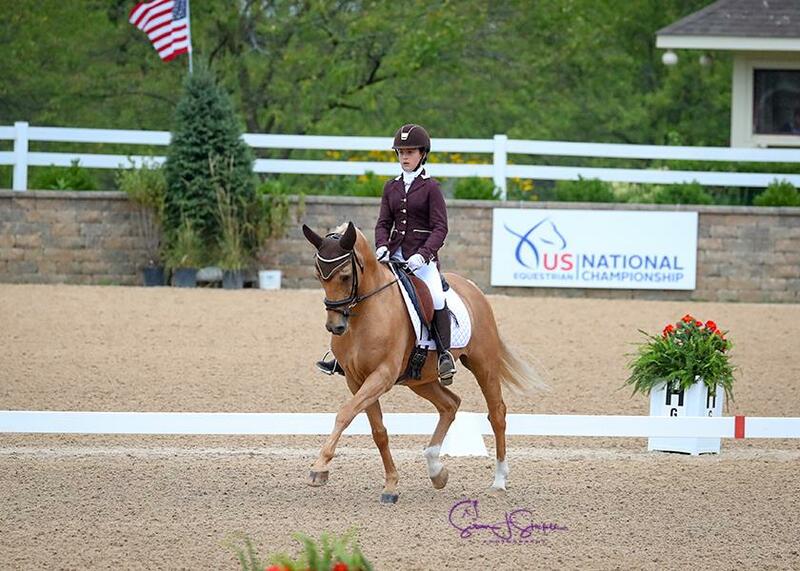 Jones (Henderson, Ky.) and her 10-year-old Hanoverian gelding had a strong test to close out a successful season. Veronica West (Marina del Rey, Calif.) and Nobleman, her 19-year-old Hanoverian gelding, place second and Nicole Scarpino (Mims, Fla.) and Lambada 224, her 11-year-old Hanoverian mare, placed third. Lexy Donaldson was the receipent of the The Anita Owen Perpetual Silver Stirrup Trophy. This trophy is presented to the Junior or Young Rider competitor who best displayed sportsmanship throughout the event. Live coverage of the 2018 U.S. Dressage Festival of Champions will continue on the USEF Network beginning at 9:00 a.m. EST on Friday. 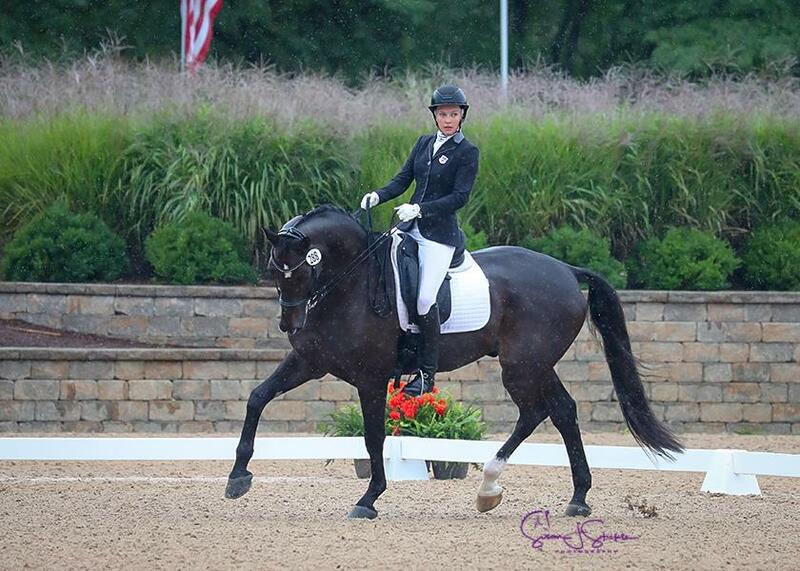 Find out more information about dressage seat equitation and the 2018 U.S. Dressage Festival of Champions. View the ride times and results. Keep up with the 2018 U.S. Dressage Festival of Champions on Facebook (@USADressage and @USEFNetwork), Instagram (@USEFNetwork), and Twitter (@USEFNetwork) for all the latest from the ring and behind the scenes.